Pelican Parts Forums - View Single Post - Can we compile definitive clutch slave cylinder fix thread? Thread: Can we compile definitive clutch slave cylinder fix thread? 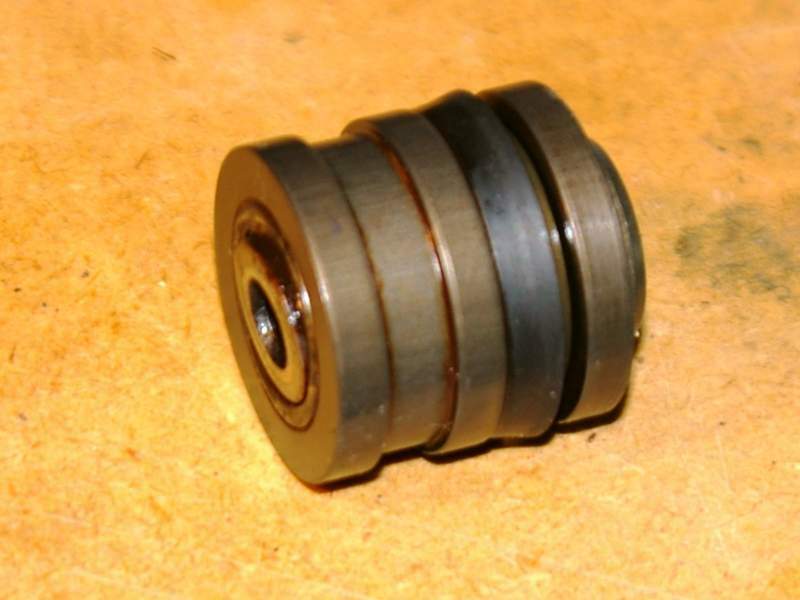 Last pic I have is of the throw out bearing in the center of the slave cylinder. You can see that the bearing race (I think that's what it is) is loose. When I get a new one, I will compare the two and post an update. Well jy, since you got my curiosity up during our PM exchanges, I decided to follow the thread you created here. From that picture of the business end of your throw-out bearing, let me assure you that your bearing is garbage. The inner race should not be cocked/loose like that. And for all the familiar names I see who posted in the thread, .